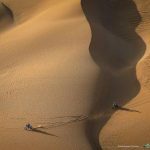 AFRICA ECO RACE 2019 MAURITANIA’S NATURAL SELECTION! 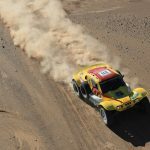 January 12, 2019 Andries Van der Walt	Comments Off on AFRICA ECO RACE 2019 MAURITANIA’S NATURAL SELECTION! 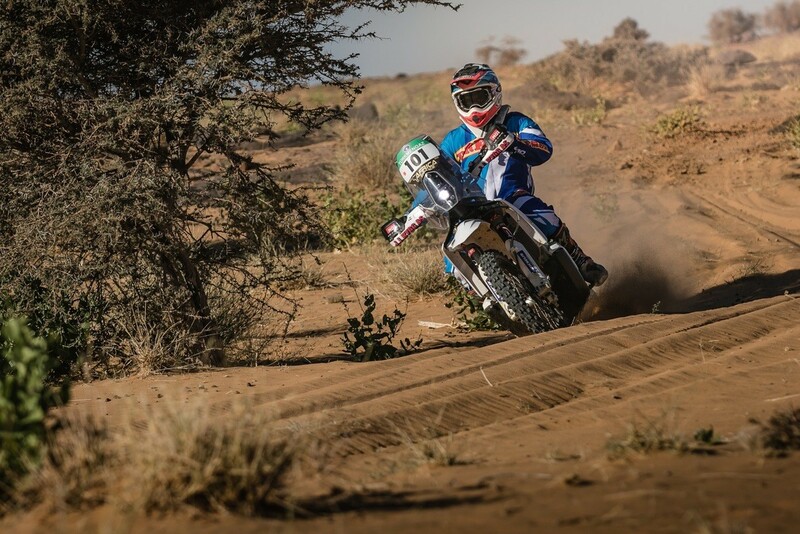 As in 2018, this 11th stage of the AFRICA ECO RACE between Amodjar and Akjoujt was ruthless for the competitors, should it be in moto or auto category. The navigation was especially complicated. 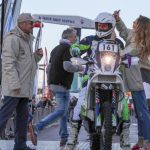 Proof is, if you calculate the average speed of the winners, which is 69 km/h for the motos and 78km/h for the autos, it is less than usual and therefore shows the difficulty of the stage. Therefore, many will be arriving very late at the bivouac tonight. It has been a while on the AFRICA ECO RACE that someone expressed such joy after winning a special stage. We must say that the victory of Francisco ARREDONDO today was a real surprise as the battle for the leadership between Pal Anders ULLEVALSETER and Alessandro BOTTURI was the main attraction. Basically, both leaders of the general ranking rode 16 kms in the wrong direction with Simone AGAZZI and Felix JENSEN. When they found their way back to the track, they came across ARREDONDO and they ended up finishing the special stage together. As the pilot from Guatemala left 10 minutes after the first, he therefore is ahead of the YAMAHA of BOTTURI by 2’59’’ and the KTM of Pal Anders ULLEVALSETER by 4’52’’. Therefore, the time difference is of 7’08’’ still between BOTTURI and ULLEVALSETER. 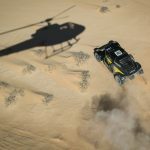 Might as well say that on the night before the last special stage, the Italian pilot already has a foot on the highest step of the podium and except a catastrophe, he shouldn’t miss the victory. The Norwegian knows, and he said it to the TV crew upon arrival that a second place for “an old man” like him, is already good enough. SECOND VICTORY FOR THE FROMONT/VIDAL TEAM. The days pass by and are never the same in the auto category of the AFRICA ECO RACE. 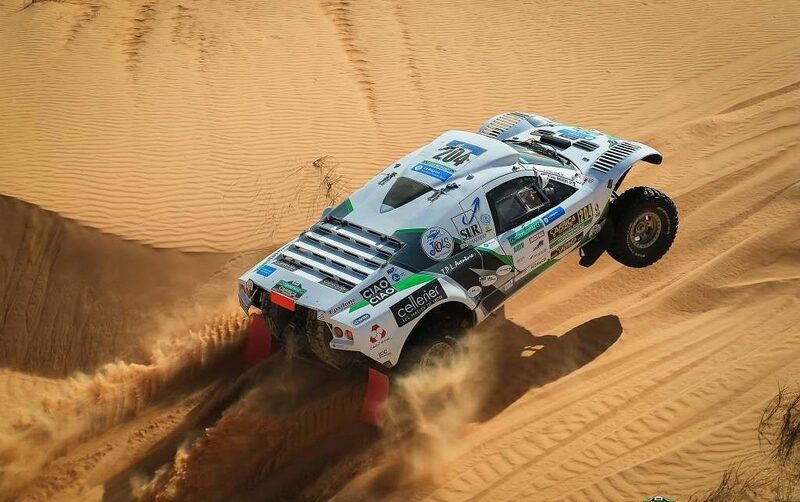 Proof is with this new victory of Yves FROMONT and Paul VIDAL who, after having gone through hell yesterday with a mechanical problem, arrived first place even though they left quite far behind this morning. The French explained their victory by the difference of timing with the OPTIMUS when crossing some sharp crossing that they drove through without a problem. This second victory enables them to get 3rd place in the general ranking auto/truck. Arrived at 10’36’’ behind, David GERARD and Pascal DELACOUR perform well on this stage and therefore the OPTIMUS 210 hits the second place of the podium for the race. Jean-Pierre STRUGO and François BORSOTTO had a scare today as they thought having lost a lot of time after getting lost today. In reality, the leaders were actually on the right track and they arrive 3rd on the chronometer with 11’56’’. They still keep their first place in the general. Jean-Nöel et Rabha JULIEN still perform regularly by getting 4th place with 19’55’’. Even if they are only a fingertip away from the podium, they only have 1’26’’ behind FROMONT and VIDAL. The final stage of tomorrow will be captivating and decisive until the last moment. Special mention to the SSV who were very impressive today as we find of them in the top . 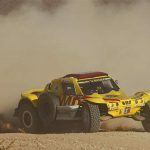 First of them is the CAN AM X of Rudy ROQUESALANE and Vincent FERRY in 5th position of the auto ranking. The French are ahead of Bruno FRETIN & Willy CHARBONNIER, Benoit FRETIN & Anthony PICHARD, Jean-Claude RUFFIER & Jérôme BOS as well as Jean-Luc PISSON-CECALDI & Thomas GAIDELLA. The 10th chrono goes to the Russians Evgenii SUKHOVENKO & Evgenii PAVLOV, in their Proto 4×4 of Team GAZ. 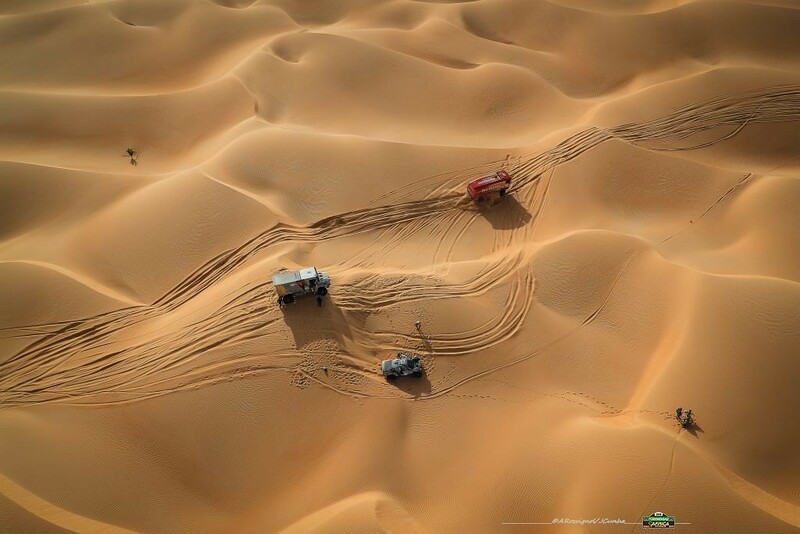 It is well known, the rally-raid is a nest for exceptional competitors, even heroes. On today’s stage, the AFRICA ECO RACE found his. It is Tomas TOMECEK, winner of the truck category and 5th scratch auto/truck. 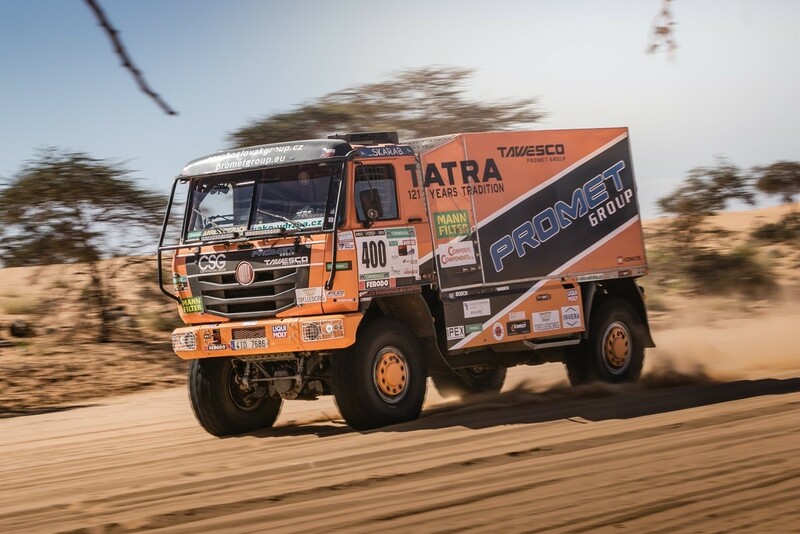 Indeed, besides the fact of being alone in the cockpit of his TATRA, the CZECH spend most of the night in the middle of the dunes helping one of the two sweeping trucks working for the organisation. Meaning that the CZECH did extremely complicated special stages in a row with only 3 hours sleep. An exceptional performance. Behind him, Nöel ESSERS, Marc LAUWERS and Johan COONINX take the 2nd place, in front of a newcomer, GAZ Russia of Boleslav LEVITSKII and Stanislas DOLGOV. Ending 4th place today. Elisabete JACINTO, Jose MARQUES and Marco COCHINHO are in line for the final victory. 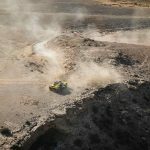 Tomorrow, the final special stage of the AFRICA ECO RACE 2019 will bring the survivors of the Akjoujt stage to Fimlit, after 218 km of sandy tracks between dunes and one last crossing that won’t be easy. AFRICA ECO RACE 2019 A WELL COMPETED DAY !